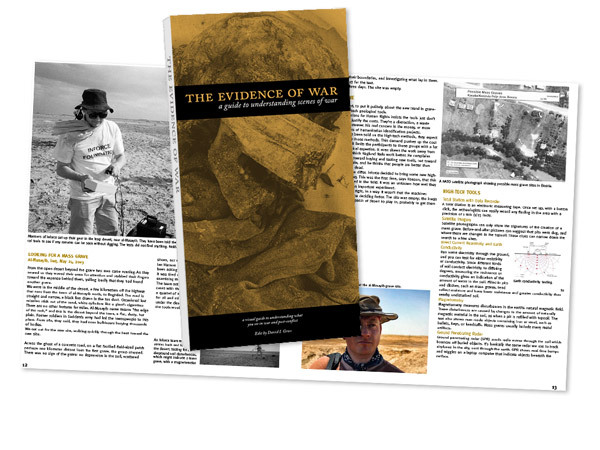 I have a long-term project, Evidence of War, a guide for first responders — journalists, aid workers, military, and civilians — which includes instructive articles about how to understand what you are seeing in scenes of war, human rights, and disaster. I am also working on a book about investigating mass murder and genocide, based around my photography of the mass graves. On occasion, I have published articles to accompany my photography, essays such as “Keeping Safe in Kurdistan” for Scotland on Sunday and “Family Photos” in the San Francisco Chronicle.